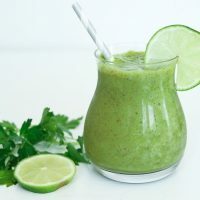 The first time I tried a green smoothie on my own, I threw a bunch of random green ingredients together and gave it a short blitz in my blender. I was excited because it looked so delicious and healthy. I dunked in a straw and inhaled a large dose, which I promptly spit out. It tasted beyond horrible. I made the assumption that just because it was green and healthy, the ingredients would work well together. So wrong! 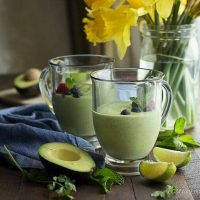 I’ve upped my smoothie game since those early days and now have various awesome green smoothie recipes. 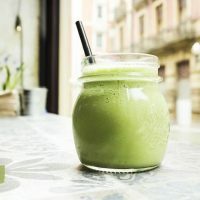 I’ll be discussing the benefits of green smoothies for weight loss, best green foods for smoothies and healthy smoothie recipes in this article. Be sure to join us and download Reach Your Fitness Goals Faster With These 15 Tips HERE. A green smoothie is an upgrade from the basic smoothie. It consists primarily of green vegetables but fruits and other healthy ingredients can be added as well. 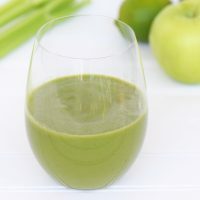 The inclusion of the green vegetables gives the smoothie a distinct and inviting green colour. 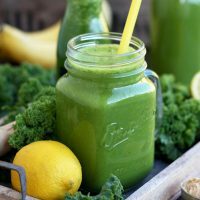 Green smoothies are a quick way to get lots of healthy nutrients into your diet especially if you have a few vitamin deficiencies such as vitamin K.
Green smoothies contain all edible parts of a plant – leaves, stem, etc making them even healthier than juicing them. Cooking food always removes some of the nutrients because of the heating process. However, with green smoothies, all the nutrients are retained and absorbed since there’s no cooking involved. 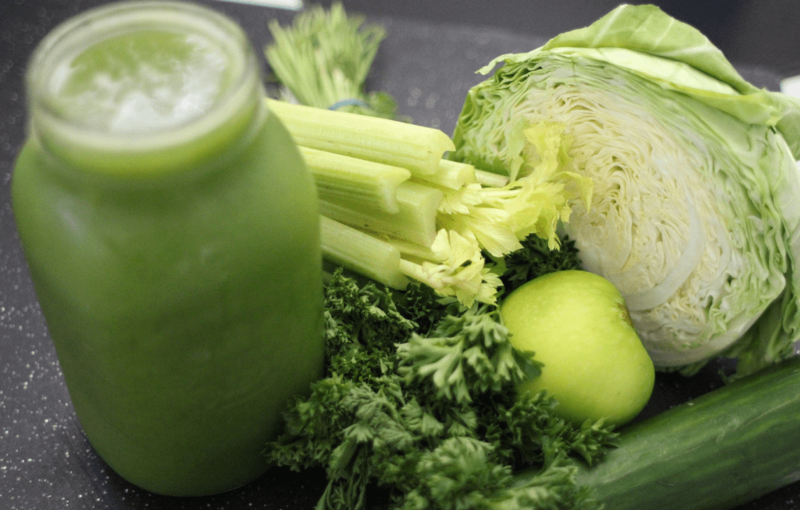 Green smoothies help cleanse the body and flush out toxins. 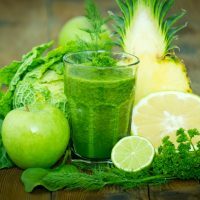 There are a few detox recipes as well in the recommendations below. 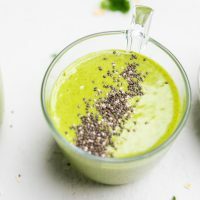 If you have a high cholesterol level, drinking green smoothies regularly in addition to healthy eating habits can help lower your cholesterol level. Do you hate eating your fruits and veggies? Well, you can drink them and they taste good too if you combine with the right ingredients. 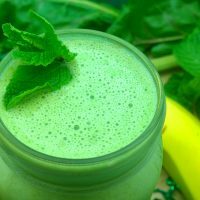 Green smoothies boost energy levels and a great mix in the morning can keep you going for hours before you feel hungry again. I stressed the importance of water in Drinking Water for Weight Loss. One of the great ways to get more water into your diet is by drinking your fruits and veggies. Depending on the type of greens you include in your smoothies, it can help boost hair and nail health and growth. It can also promote radiant and glowing skin. Can You Drink Smoothies Every Day? Yes, you can. I drink a smoothie every day after my workout. It’s one of the tips I shared in Reach Your Fitness Goals Faster With These 15 Tips. 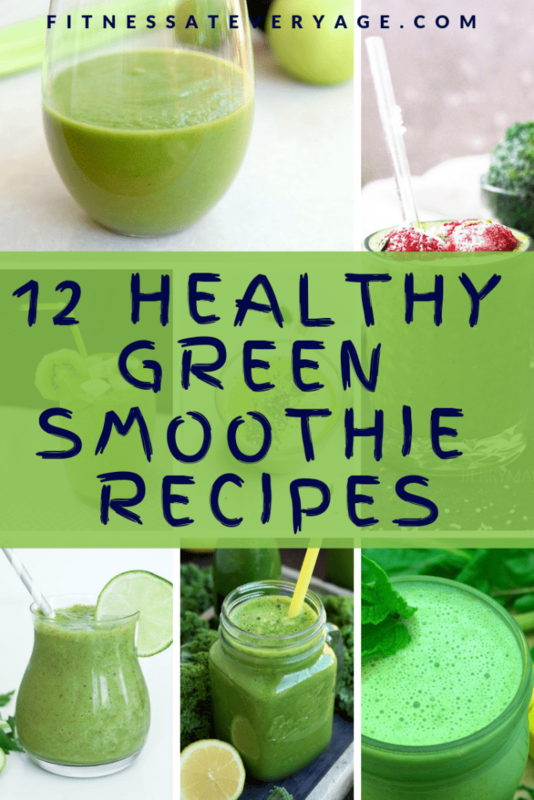 Green smoothies play a great role when it comes to achieving your weight loss goals. They help you feel fuller for longer thus stretching the time between meals. They also curb cravings for unhealthy foods such as soda, sweets and snacks. 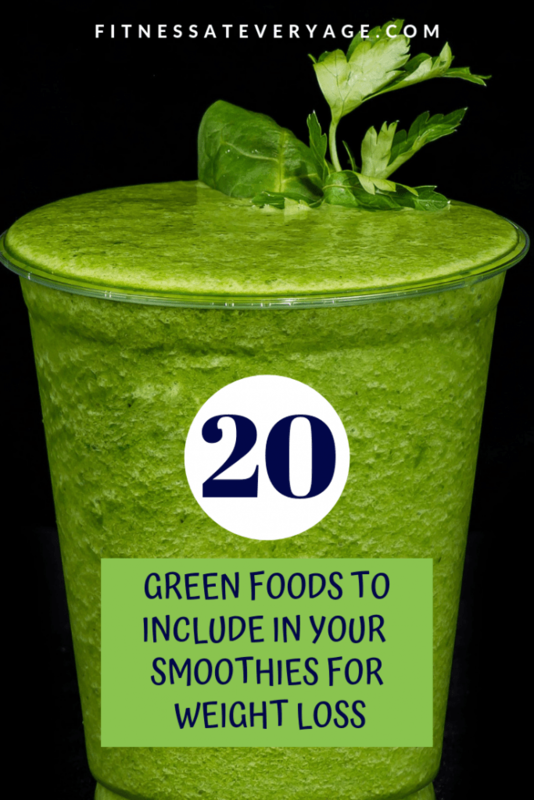 Below are my top 20 greens to add to your green smoothies. Try to include as many as you can but if you can’t stand some of them, that’s perfectly fine. This is a sea vegetable that has been dried and powdered. It’s packed with nutrients and amino acids. 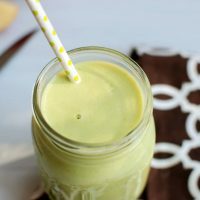 Not everyone can stand the taste but it usually disappears into the smoothie with other ingredients. 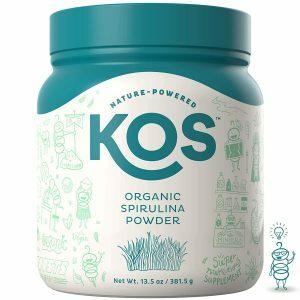 Some favourite brands of spirulina include KOS Organic Spirulina Powder and Terrasoul Superfoods Spirulina Powder. My second favourite ingredients in smoothies. I love adding flaxseeds, black or white chia seeds and pumpkin seeds for even more fibre. Berries will help mask whatever awful taste is waiting for you. A handful of any kind of berries works great for most smoothies. You can also substitute berries with fruits like apples, pineapples, kiwi, peaches, etc. 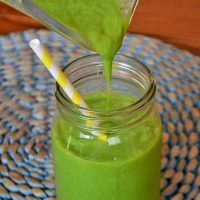 Some people believe in using green smoothies as a primary weight loss method. However, this is not advisable and you will eventually start feeling like you’re starving. You cannot have green smoothies for breakfast, lunch and dinner. I’ve tried it before when liquid diets were all the rage some years ago. I wanted to see what all the fuss was about so I set a goal for 5 – 7 days of green smoothie eating. While it did not have any adverse effect, I knew I had to stop immediately after 3 days. Why? Everyone I talked to started looking like giant juicy drumsticks. I began to fear I would bite into a human being in my hunger delirium. A healthier method would be having a green smoothie for breakfast, solid food for lunch and snacks and a green smoothie for dinner, for instance. 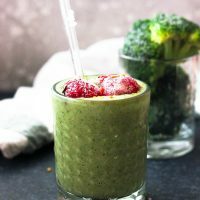 A basic green smoothie recipe would include 1 – 2 greens, spirulina, nuts or seeds, berries or other fruits and a healthy liquid base. 2 tablespoons of nuts or seeds. You can use both. Pour the water or almond milk to your blender. Add the spinach and arugula. Blend for a few minutes then add the nuts or seeds, frozen berries, spirulina and cinnamon. Blender until smooth and creamy. Add more water or almond milk if desired. Enjoy. You don’t have to use a sweetener but if you want to, you can add 1 tablespoon of Agave syrup or include a few chunks of frozen pineapple. 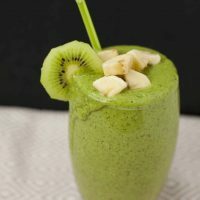 Below are some more creative and healthy green smoothie recipes for you to draw inspiration from. They all use at least one of the greens recommended above and all are less than 300 calories. 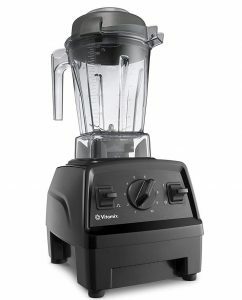 The Vitamix E310 Explorian Blender is a good all-round blender but a bit expensive. However, if you’re going to have smoothies every day or more than once a day, it’s worth the investment. 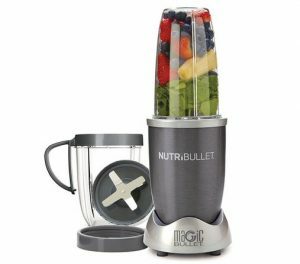 NutriBullet Pro is a more budget-friendly blender with fewer functions but just as effective. This model also includes a hardcover recipe book. 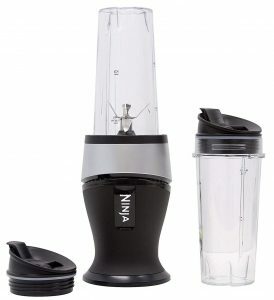 Finally, if you’re on the go a lot then a portable travel blender like Ninja Personal Blender or PopBabies Portable Blender is perfect.